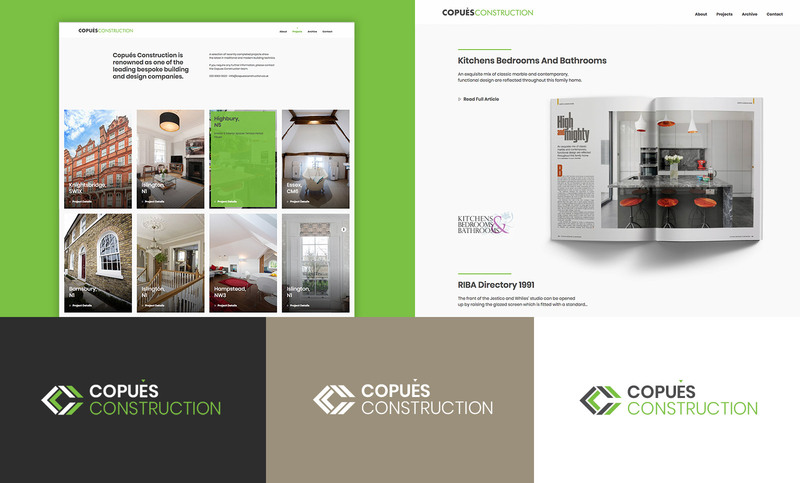 Founded in 1949, Copués Construction is an award winning, family business. With considerable experience of high intensity projects within the residential, commercial and industrial sectors, Copues Construction specialises in all aspects of building work. GAS Studio was asked to create a new website to showcase current and historic projects. Starting the site from scratch gave us the opportunity to map out their content from fresh, structuring their imagery and information in the best way to showcase the luxury buidings they construct. A core aspect of this RIBA award winning business was its wealth of experience and attention to detail brought to luxury projects over many years. Therefore case studies of the build projects were key to communicating their credentials and became the focus of the site. Wireframing and content design is a key part of our process, giving the client the opportunity to visualise how all the components of a website will fit together. 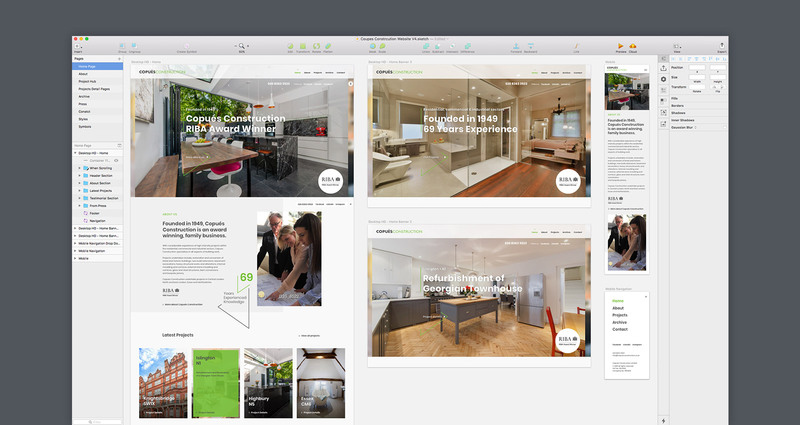 We use both Sketch and Adobe Xd software to demonstrate how a website will work for a user. "GAS was a massive help with the design as it needed to be started from scratch to ensure the finished version was current, showcased our work in the best way and was easy to navigate."